Do you long for the days when the head of the French state had the good names? We think fondly of kings Childebert and Clothar and Chilperic II (who had the good sense to change his name from the too-common-for-royalty "Daniel"). All of these were part of the Merovingian dynasty, the first kings of all the Franks, starting with founding father Clovis at the end of the 5th century. 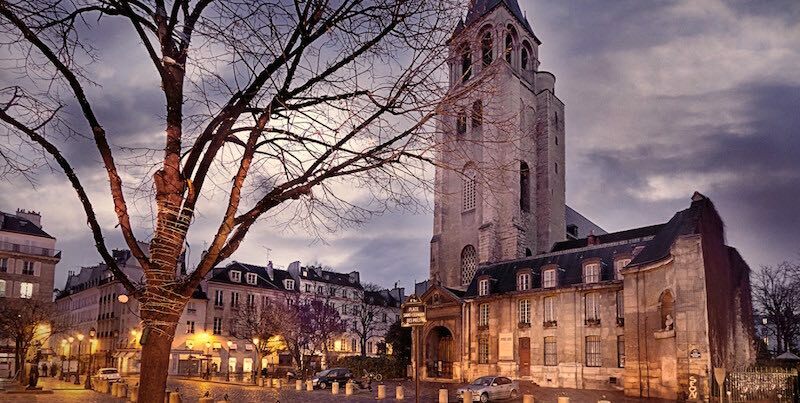 We mention this because it was Clovis' son Childebert who was responsible for the founding of what is now the oldest church in Paris, Église Saint-Germain-des-Prés, located in the heart of the neighborhood that takes its name from the church. Like his family before and after him, Childebert spent most of his time in wars with the kingdom of Burgundy or the Goths. 542 AD found him in Spain, where he seized Pamplona and put the city of Saragossa under siege. Reports vary — either he decided on his own to pull out of Spain, or he was forced to retreat, or (this seems the least likely) he discovered that Saragossa had placed itself under the protection of Saint Vincent and piously agreed to withdraw — but whatever the cause, Childebert left Spain, taking with him a relic, the priestly tunic of Saint Vincent. Back home, Childebert placed the relic of Saint Vincent in a church he ordered built just outside of Paris. Childebert lived on Île de la Cité, in the royal residence built by his father Clovis, on the site of what is today the Conciergerie. From there Childebert could gaze across the river and the fields of the Left Bank to view the buildings that housed his relic. A monastery sprung up around the shrine. Initially called Sainte-Croix-et-Saint-Vincent, the name was changed to honor Germain, the Bishop of Paris who dedicated the church in 558 AD and who was later made a saint. 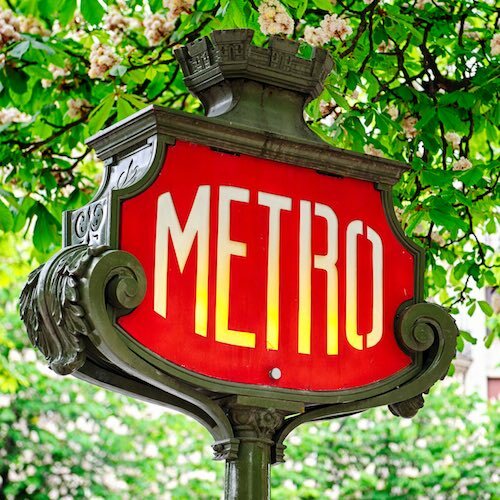 Saint-Germain-des-Prés, that is, Saint-Germain-of-the-Fields, was so called because it was located in the countryside outside of Paris, though that is hard to imagine today as you walk the district's bustling streets. When Childebert died in 558 AD he was buried at Sainte-Croix-et-Saint-Vincent; the kings who followed him were as well and the abbey became the burial place of all the Merovingian kings, ending with Childeric II (653-675) and his wife Bilichild. (See, we told you they had the good names.) Germain himself was buried here when he died in 576 AD. Two centuries later the church and abbey were re-dedicated in his name. 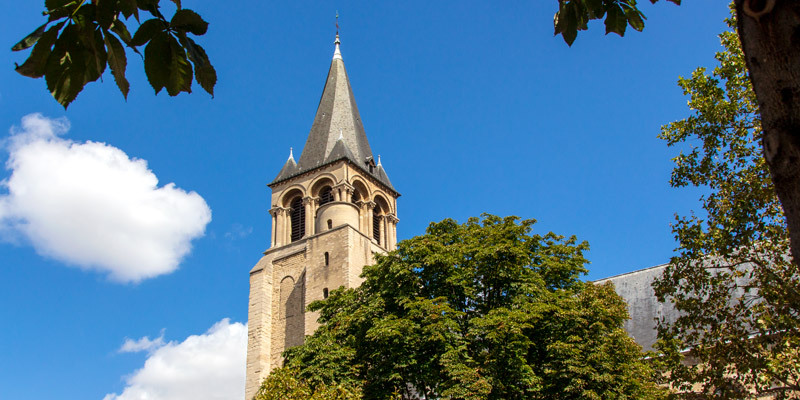 The monastery around the church expanded as the influence of the Benedictines grew in the church — Saint-Germain-des-Prés was one of something like 17,000 Benedictine monasteries. The thorn in the side of these Parisian monks, though, was the Vikings. In the 9th century these Normans were wreaking havoc on Paris and its surrounding lands. The abbey was plundered and burned a half dozen times, being rebuilt after each sacking. The original church long gone, a new building was designed and built in the 11th century in the contemporary Romanesque style that featured thick walls, round arches, and barrel vaults inside. This church originally had three towers, two at the east end and one at the west entrance. 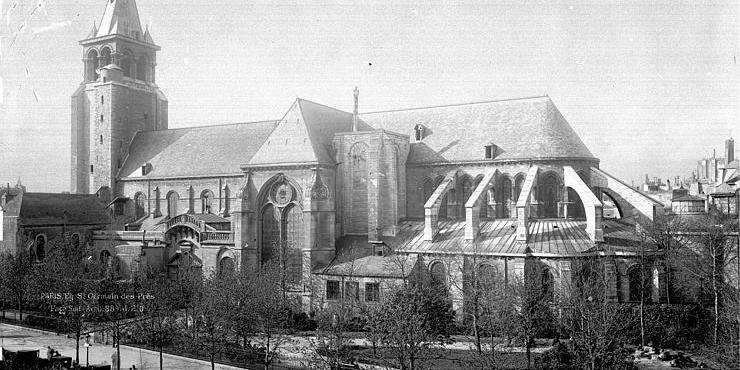 Saint-Germain-des-Prés as we see it today has considerably altered since the original construction. In fact, the entire site has been modified beyond recognition. Where once were the buildings and fields of an extensive abbey, today is the Left Bank of Paris. The abbey of Saint-Germain-des-Prés took in much of what is now the 5th and 6th Arrondissements along the river. 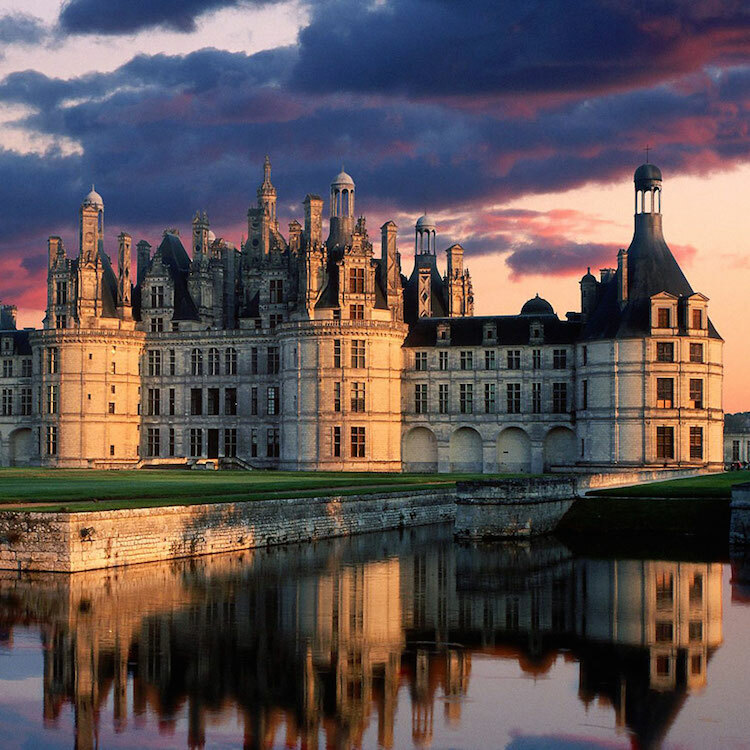 At one point the abbey donated land so the University of Paris could be built, thereby creating the name "Latin Quarter" since that was the language both of the monks and of university instruction. When French king Philippe-Auguste (1165-1223) built his wall around Paris he purposely ran it through the abbey's land, thus cutting its holdings (and power) in two and leaving the abbey outside of the defensive walls. 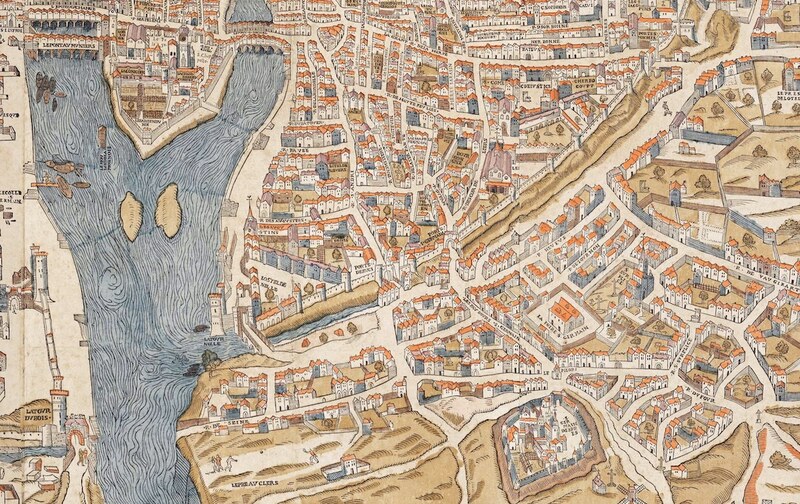 You can see that in the detail from a map of Paris from 1550, above. (North is to the left on the map.) By the way, you can also spot Église Saint-Sulpice, a church built by the abbey in the 13th century for the peasants living on its lands. Following the French Revolution the lands of the abbey were confiscated, resulting in a boom of building new streets and buildings, and the beginning of the quartier of Saint-Germain-des-Prés. There is very little left of the Romanesque church. The two eastern towers are gone, along with almost every other building of the monastery. There are flying buttresses, but those are a later addition, contemporary with Notre Dame in about the 13th century. Even the top of the bell tower is later, with the bell chamber not added until the 17th century and the pitched roof even later. The murals inside the church were only painted in the mid 19th century. 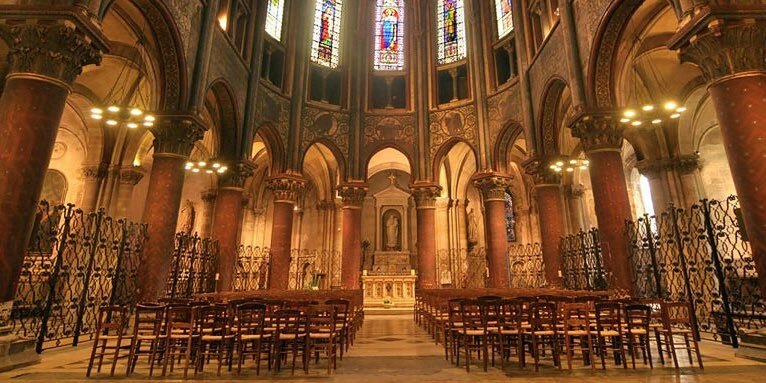 With all the patchwork changes and additions over the centuries, coupled with the lack of maintenance, Église Saint-Germain-des-Prés was in urgent need of restoration and preservation. Major work started in 2011 and is still underway, including a new stone floor and an overhaul of the organ. The church is not the only thing that makes this the heart of the neighborhood. 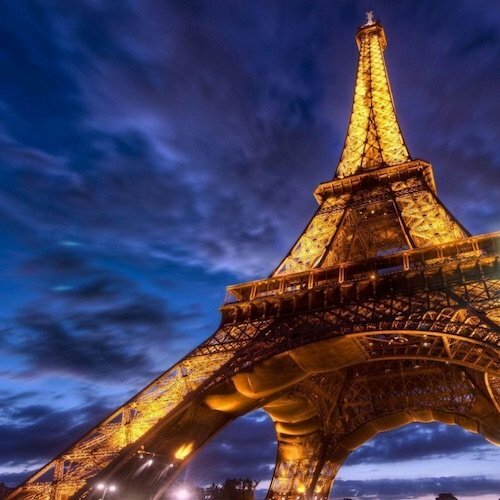 Nearby are three of the most famous, and most literary, cafes in Paris. 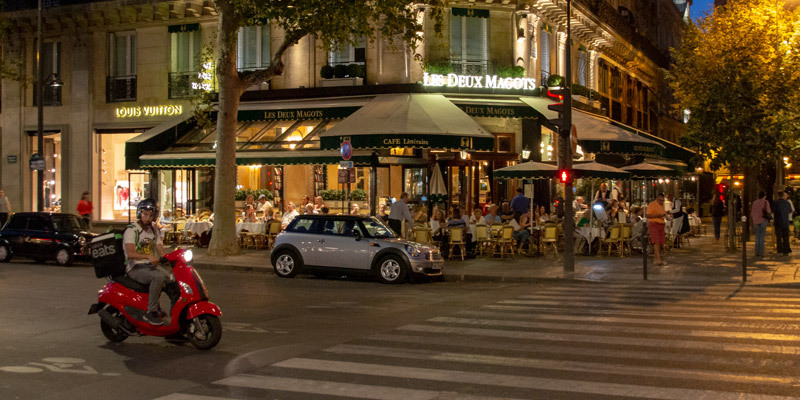 Facing the church, across Place Saint-Germain-des-Prés, is Les Deux Magots. Having breakfast or a coffee here is like traveling through recent French literary history. While sipping think about others who may have sat in your very seat — Ernest Hemingway, James Joyce, Bertolt Brecht, Simone de Beauvoir, Jean-Paul Sartre, even Julia Child. Next door you find Cafe de Flore where, in the 1920s and 1930s, starving artists and writers would gather for warmth and talk. 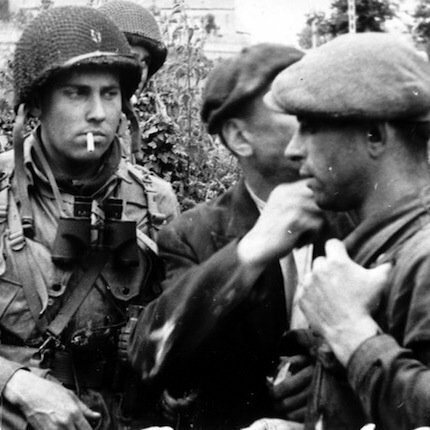 People like Pablo Picasso, Albert Camus, Leon Trotsky, Ossip Zadkine. Across Boulevard Saint-Germain, facing the place is another of Hemingway's haunts, Brasserie Lipp. This is classic brasserie food that hasn't changed much in a hundred years. You feel like you stumbled onto a movie set, or flung back to the twenties. Is that Hemingway at the next table?